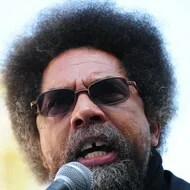 Civil rights activist and Princeton professor Cornel West has been an outspoken supporter of the Occupy Wall Street movement, but not just from behind his lectern. West was arrested today in Harlem while demonstrating against the NYPD’s stop-and-frisk tactics, making for his second police run-in for civil disobedience in less than a week. Outside of a local precinct this afternoon, a group rallied and chanted, “We say no to the new Jim Crow; stop and frisk has got to go,” before about 30 people were arrested. The department’s “random” search policy, which skews insanely toward men of color, came under renewed fire this week thanks to a crooked cop who boasted about his race-based arrests. West was also cuffed on Sunday outside of the U.S. Supreme Court in Washington, D.C., but was not charged with a crime. UPPER MANHATTAN — Community leaders are calling on the NYPD to reverse a decision to reassign the 34th Precinct‘s commanding officer, just 15 months after he moved into the post. 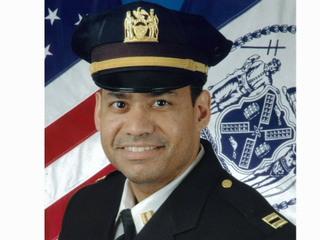 Residents and elected officials began a letter writing campaign Monday asking that the NYPD allow Deputy Inspector Jose Navarro to remain in his role, particularly at a time of increased crime in the area. “Losing Navarro at this critical time will hamper the countless efforts to reduce crime, lose momentum in implementing strategic crime prevention initiatives and damage already repaired police-community relations,” reads a letter sent to the department from dozens of community residents. “His loss will be felt across the community and his departure will raise significant concerns,” continued the letter, addressed to Commissioner Raymond Kelly and Assistant Chief/Commanding Officer William Morris. 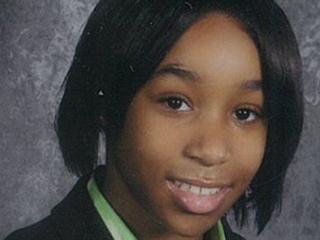 Police did not immediately respond to requests for comment regarding the decision.